Editor's Note: David Speer of Lighting Analysts asked us to relay the following. Lighting Analysts is once again pleased to host noted Revit expert and author, Mr. Dan Stine in a team effort with our own Mr. Matt Kincaid for a two hour session on Revit Luminaire Families. This course provides vital content for anyone creating families that is interested in preserving integrity for accurate lighting calculations. End users of Revit and ElumTools will enjoy the many valuable tips for understanding and interacting with the wide variety of family content available from today’s providers. Special Bonus Material: When you attend you will also receive in PDF format a 66 page chapter on basic family construction from Dan Stine’s Revit Textbook “Design Integration Using Autodesk Revit 2017”. 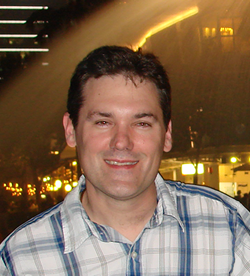 Daniel John Stine, CSI, CDT is a Wisconsin registered architect, author, instructor, BIM manager, and architect working in the AEC field since 1991. He has used ElumTools since its original Beta program and presented on it in three different countries; including several locations in the United States. Dan also teaches a module on ElumTools in two separate classes at North Dakota University to architecture and interior design students. Dan is engaged fulltime as the BIM Administrator at a 250 person multi-discipline firm, providing training and support for all disciplines of Autodesk® Revit® (Architecture, Structure and MEP), AutoCAD® and Civil 3D®. Leveraging his professional and academic experience, Daniel has written the following textbooks: Interior Design using Revit 2017, Design Integration using Revit 2017 (Architecture, Structure and MEP), Architectural Commercial Design using Revit 2017, Residential Design using Revit 2017, Residential Design using AutoCAD 2017, Commercial Design using AutoCAD 2013, Chapters in Architectural Drawing? Hand Sketching in a Digital World, Hand Sketching, Adobe Photoshop and Google SketchUp for Interior Designers and SketchUp 2013 for Interior Designers. Mr. Stine’s Residential Revit book is the #1 Revit textbook in the United States, in the education market. Matt Kincaid graduated from the University of Colorado in 2014 with a degree in Architectural Engineering, emphasizing in lighting and electrical systems. 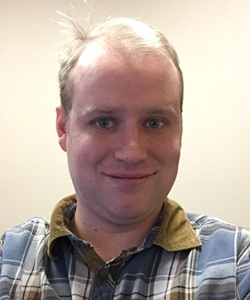 While at CU, Matt also completed course work in the Computer Science Department. Matt spent time doing optical engineering for new LED luminaires at Cooper Lighting and Acuity Brands before joining Lighting Analysts in 2015. At LAI, Matt has contributed to the development of ElumTools, a fully integrated lighting Add-In for Revit. His work has included the development of a set of built in luminaire families that ship with the software to be used for photometrically accurate lighting analysis. There's more information available on the ElumTools website.